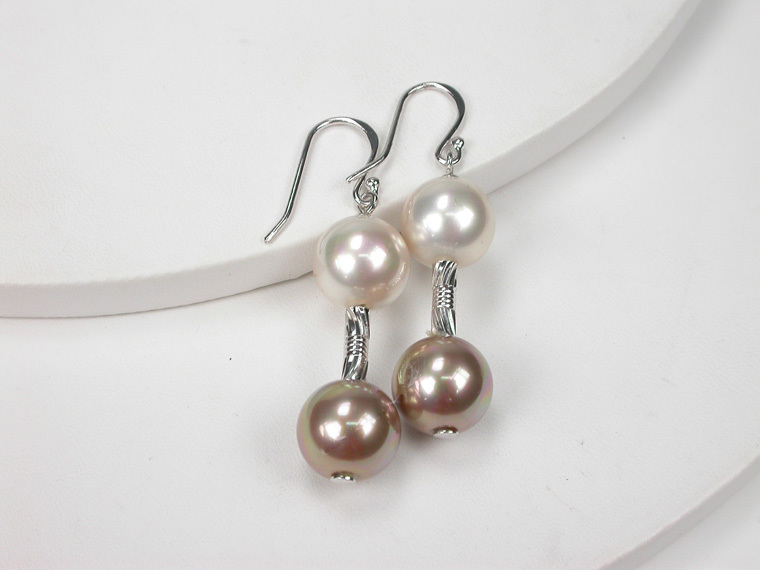 Lovely hook earrings in Sterling Silver and 12 mm Pearls in soft colours. 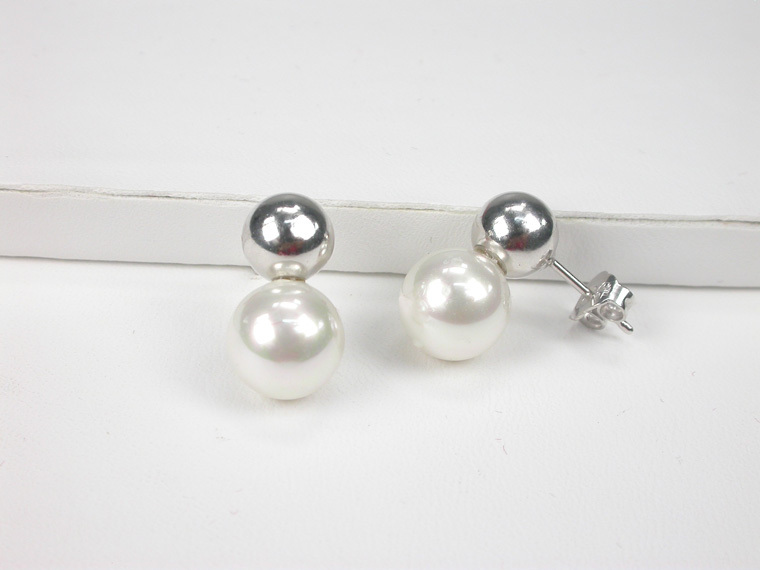 Classic Sterling Silver pierced Earrings with 8 mm. pearls and zircons. Elegant for any occasion! Very original Sterling Silver Earrings in shape of a clover with 8 mm. pearls. The size of the earrings is 8x24 mm. 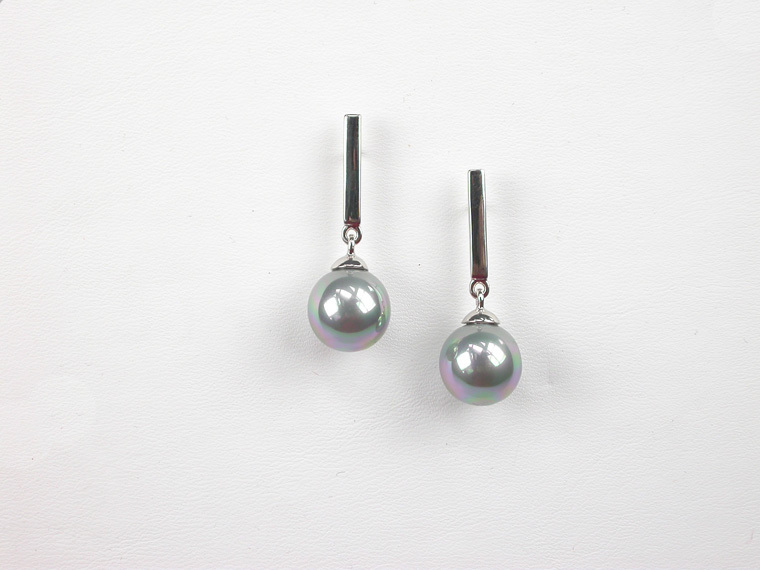 These very original Sterling Silver Earrings with 5 mm. 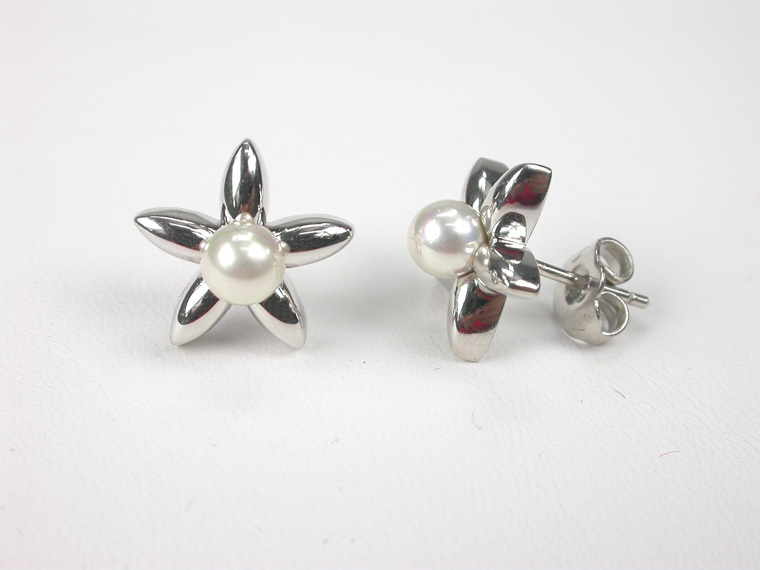 white Pearls are inspired by the shape of a Starfish. The size is 14x14 mm. 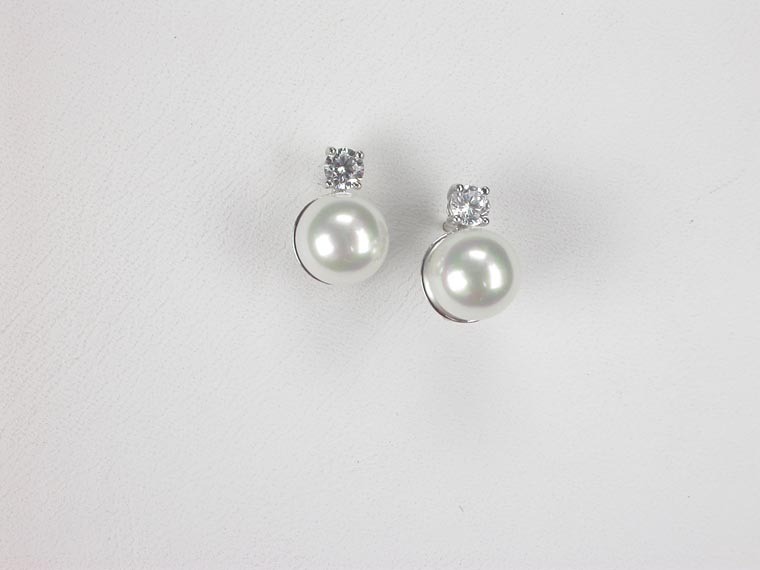 Extraordinary Sterling Silver earrings with pearls in 6, 8 and 10 mm in an original design to highlight a modern and attractive look. The size is 10x55 mm. 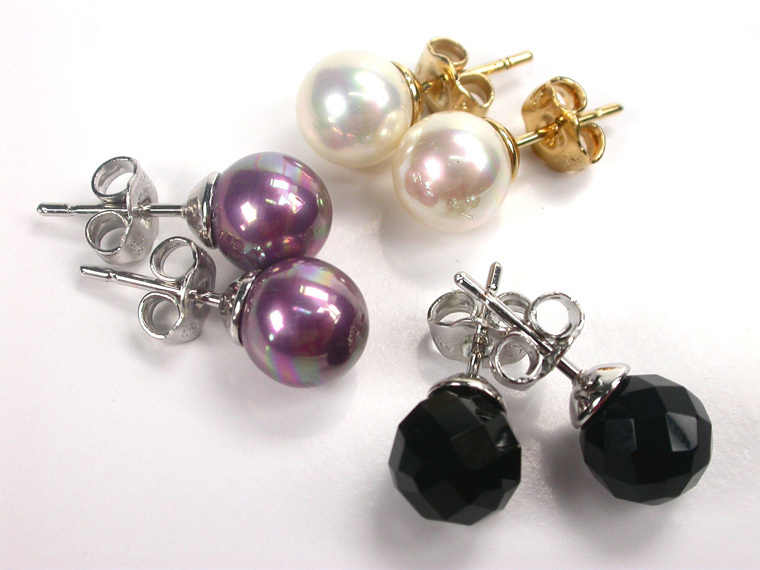 Set of 3 pairs of 8 mm. pearl Earrings. Three Earrings for three events! Classic white, Trendy aubergine and Onyx sophisticated. An essential Jewel for each woman and the perfect Gift! 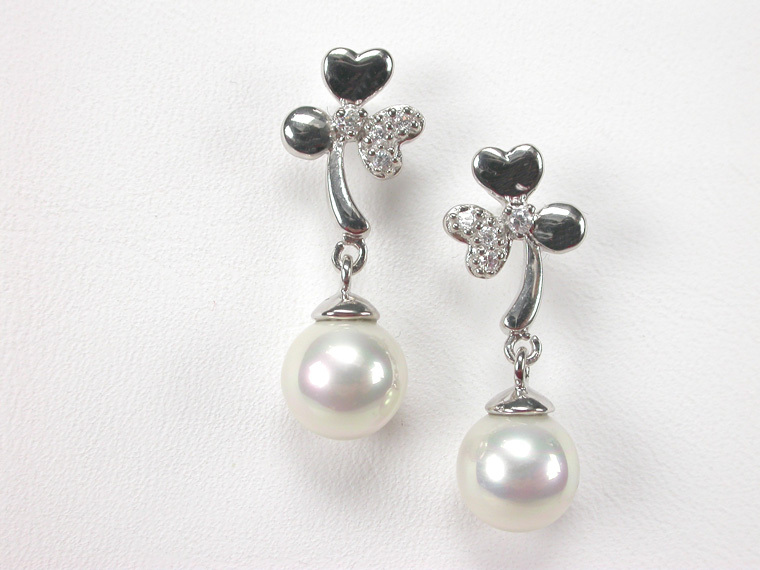 The Earrings are made of Sterling Silver; The white pair in 18 karat Goldplated and the 2 others in Rhodium finishing. A simple but Elegant pair of Earrings in Sterling Silver with lovely 10 mm. White Pearls. Perfect for everyday use as well as for a chic evening. Sterling Silver Hook Earrings with 10 mm. 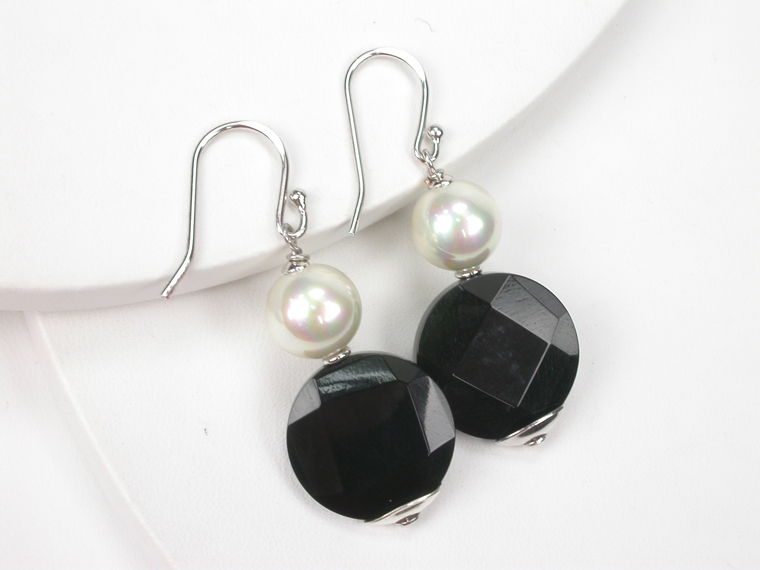 White Pearls and faceted Onyx. A juvenile and original combination! 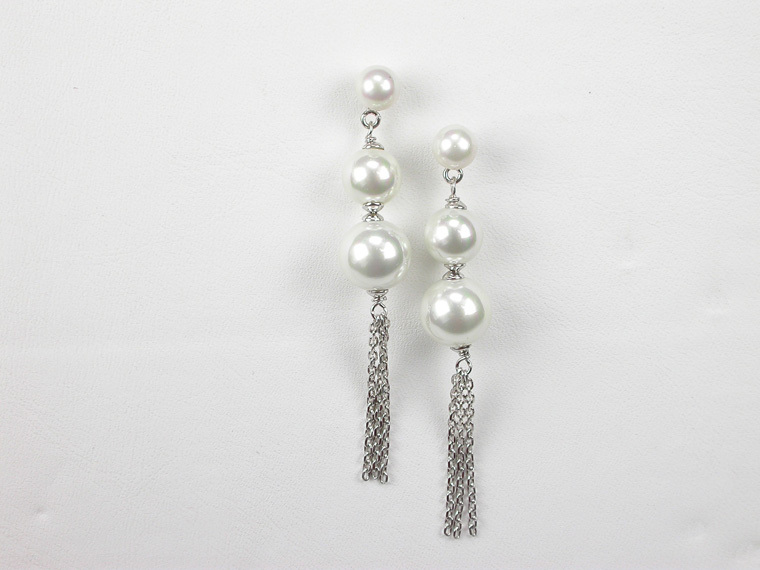 Sterling Silver Earrings with gorgeous barroque Pearls in grey nuance. Elegant and the right accesory for any occasion! 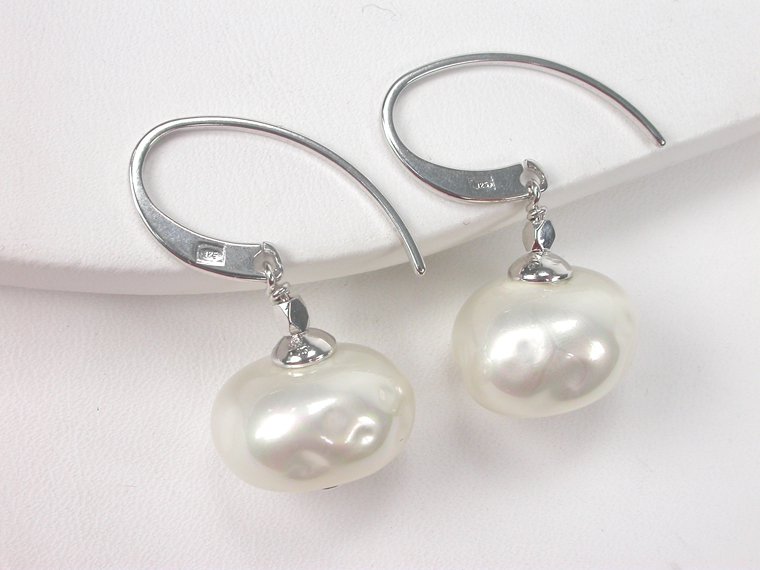 Sterling Silver Earrings with a magnificient barroque Pearl. Perfect for a modern everyday look! Set of 3 pairs of 7 mm. 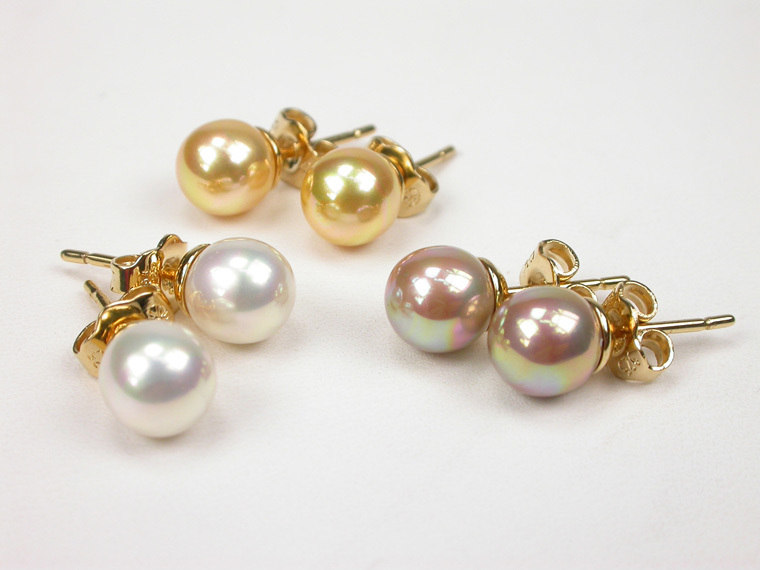 Pearls in White, Golden and Copper in 18 Karat Goldplated Sterling Silver mountings. A color for every occasion and the perfect gift! Set of 3 pairs of 7 mm. 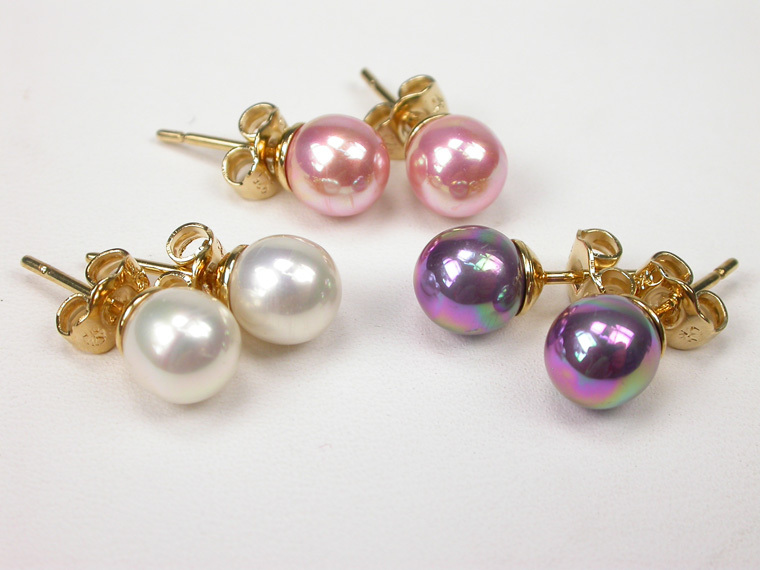 Pearl Earrings in White, Pink and Aubergine colour in 18 Karat Goldplated Sterling Silver mountings. A color for every occasion and the perfect gift!